Checked All the Boxes ? 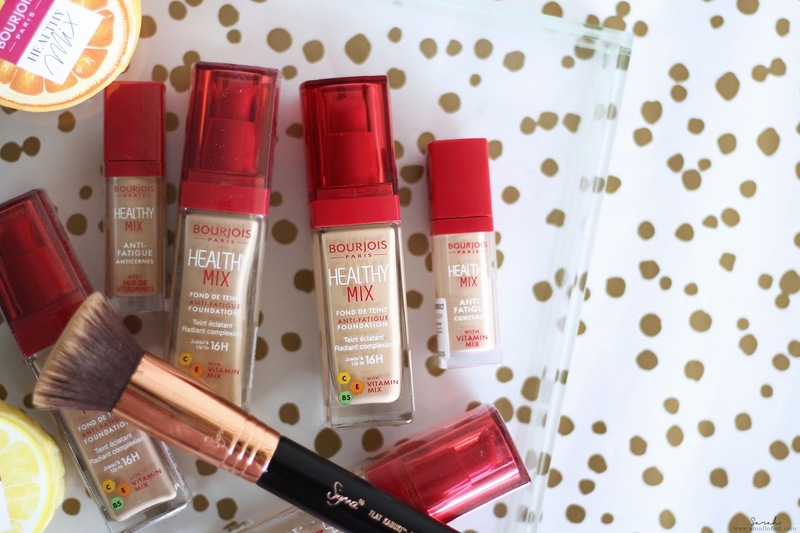 Bourjois Healthy Mix Anti-Fatigue & Radiance Revealed Foundation. With its vitamin mix, it instantly erase signs of fatigue for a flawless, fresh and healthy looking complexion. 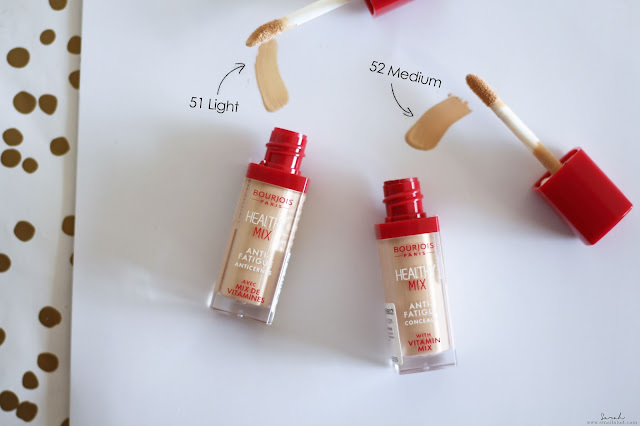 You'll LIKE it if you are looking for a foundation that's cheap and leaves your skin looking radiant, glowy and also with a decent coverage. You'll HATE it if you have slightly darker skin tone as they come with limited shades. The original formula was good but this is better ! It has a medium to full coverage and buildable on all skins even on dry ones. The new formula has been amped up with a combination of vitamin C, E and B5, giving a more radiant complexion and a better blend with your skin. Other than that, the creamy texture blends into the skin effortlessly without drying or any patchy-ness. It literally feels like your second skin. If you've been a loyal user of the old formula, you will definately feel the difference as it works so much better on combination skin. Long-lasting you ask ? You can rely on it staying on for a good ol' 8 hours but for oily skin, it might be slightly less than that. Currently there are only 4 shades available in number 52 Vanilla, 53 Light Beige, 54 Beige, 55 Dark Beige. 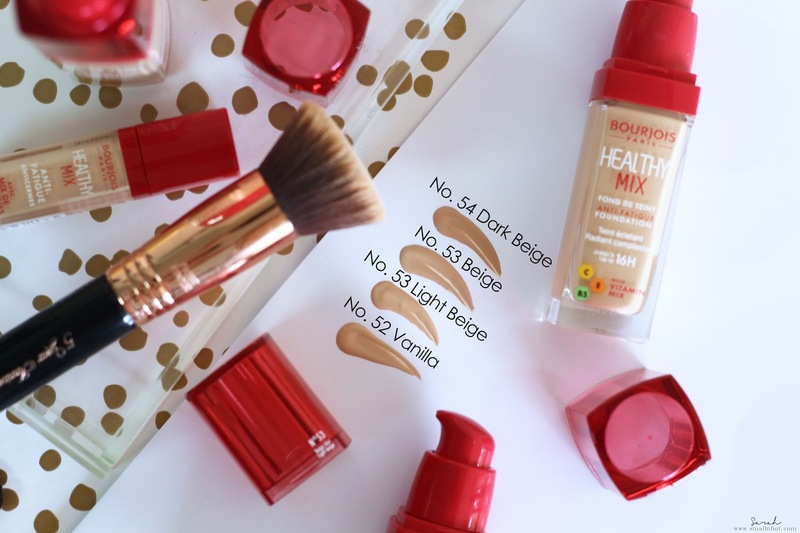 We do hope that Bourjois will be bringing in more darker shades to cater for a wide range of skin tones because this new Bourjois Healthy Mix Foundation is fab and everyone should get a chance to try it ! Bourjois Healthy Mix Concealer contains a unique blend of vitamins that erases imperfections and signs of fatigue. You'll LIKE it if you just want to do simple cover up of your pigmentation, freckles and etc. You'll HATE it if you are expecting to get high coverage from this. The formula of this new concealer is incredibly creamy. In fact, it's so creamy that it blends into your skin seamlessly. The applicator is the standard doe-foot design and packaging is just like their Bourjois Radiance Reveal Concealer. It's makes application really easy and enjoyable, also picks up a decent amount of products without having to re-dip. The only downside with this concealer is the pigmentation and coverage. 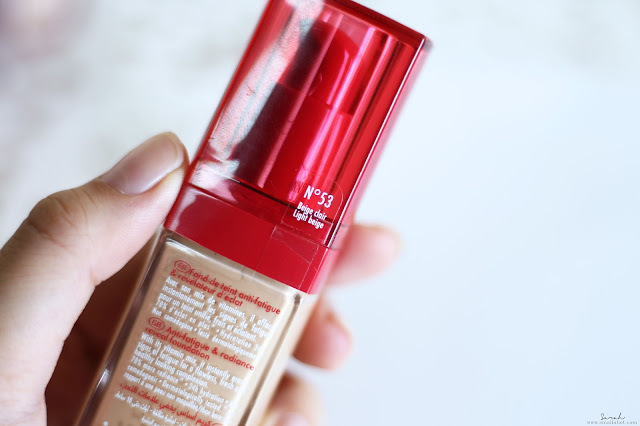 It has a low to medium coverage and because of it's creamy texture, it's difficult to build it up to higher coverage. With that in mind, you can probably cover up only your pigmentation, freckles and maybe dark eye circles. So if you are planning to use this on active acne or post acne scars, this will not make the cut.